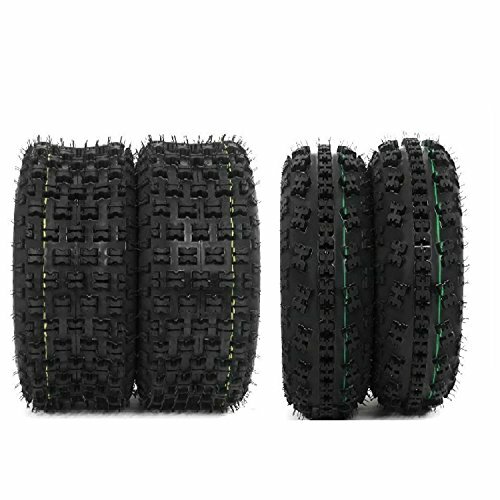 Full set (2 x front 21x7.00-10 and 2x 20x10.00-9 rear) for complete replacement Can be used in any type of cross country terrain Dynamic tread pattern provides exceptional traction Enhanced lug depth brings better brake control Specially manufactured for Grand National Cross Country (CNCC) Heavy 4 ply rated nylon construction resists punctures and abrasions. Durable 4-ply bias construction Unparalleled technology for superior weight to performance ratio Lug design provides better braking control. If you have any questions about this product by Roadstar, contact us by completing and submitting the form below. If you are looking for a specif part number, please include it with your message.